Art Reception for Jeff Jamison's Show "Things We Love" opens on Friday, April 5th with a reception from 5:00 until 8:00 pm. The artist will be in the gallery to meet you and discuss his latest exhibition. Join us for refreshments and a beautiful evening in Charleston. 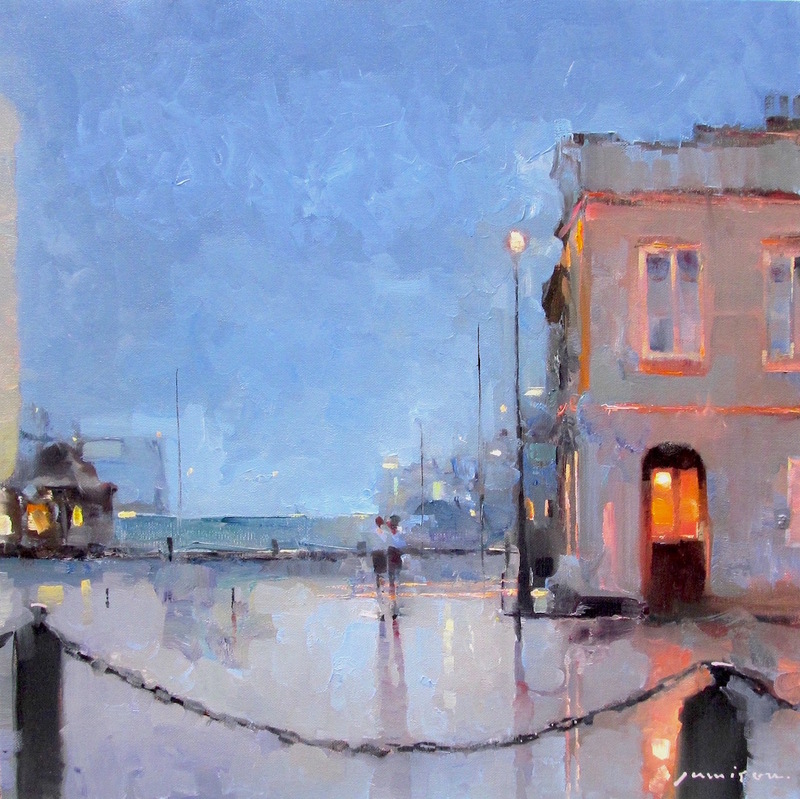 Jamison imbues a combination of nostalgia and timelessness into his paintings through use of a contemporary style. This might seem paradoxical, and perhaps it is, but it is what makes his works so enigmatic. They are beautiful and mysterious, light and carefree and above all, they invite you to participate with your imagination. The cities Jamison features might appear to be New York or Paris, but look close! 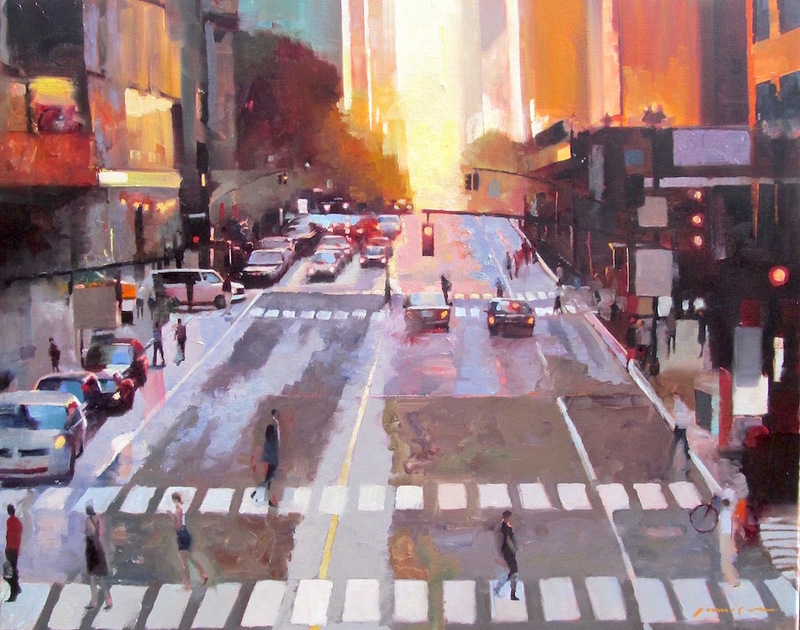 Many paintings are in fact the cities of his dreams— mixtures of places he has been and places he wishes to go. Because of the ambiguity of people and places, Jamison's works offer something to everyone. 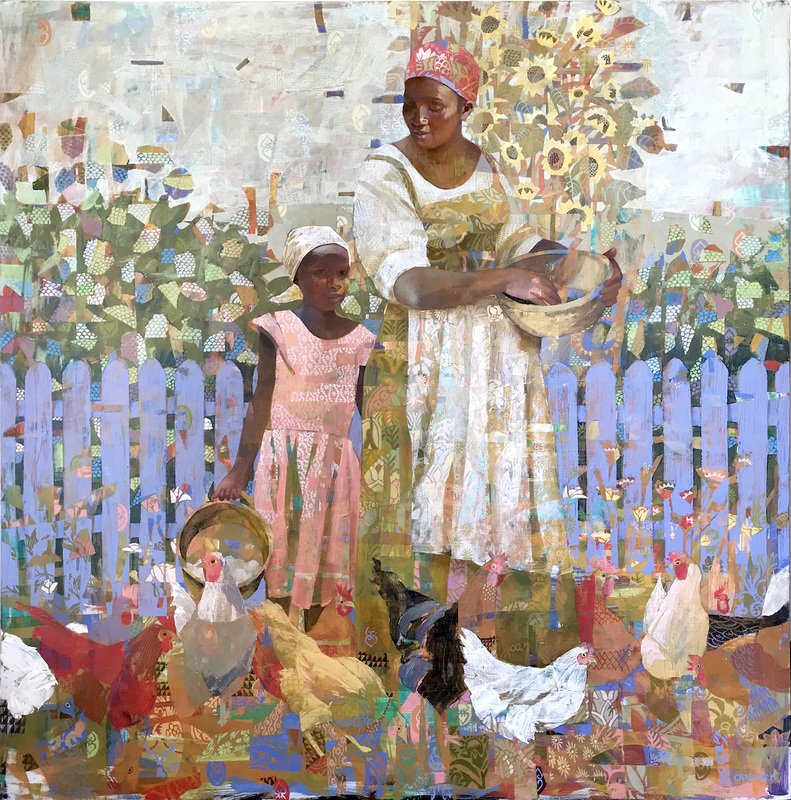 Born in 1958 in West Memphis, Arkansas, Jamison became interested in art at an early age. He began taking classes as a means of learning how to capture the light and shadows that held his constant attention. His serious art studies began at Middle Tennessee State University in 1977. In 1982, Jamison enrolled at the Art Institute of Fort Lauderdale, Florida. After two years, he graduated and was offered the position of Editorial Illustrator for the Fort Lauderdale Sun Sentinel newspaper. During this time, he also worked as a courtroom sketch artist in the Manuel Noriega trials in Miami. His award-winning illustrations began to fill national publications, including magazines and novel covers. 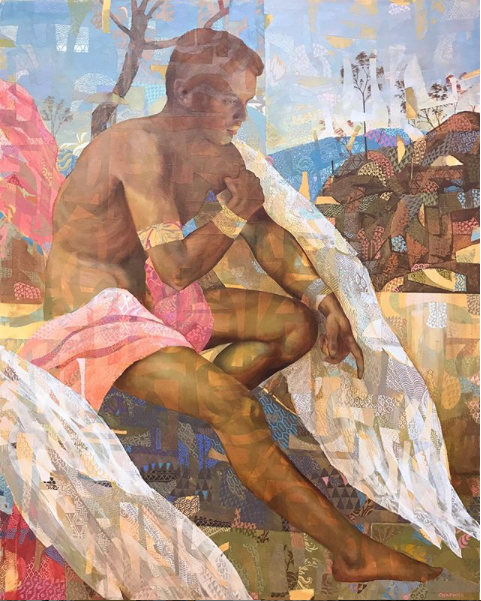 Eventually deciding to convert to painting, Jamison utilizes his skill for drawing and scale combined with learned Old Master techniques and his own contemporary impressionistic creativity. He calls his process “controlled chaos.” His awards and honors include: Oil Painters of America National Juried Exhibition of Traditional Oils – Award of Excellence (2009); Paint America Association’s Paint the Parks Top 100 (2007); Oil Painters of America Eastern Regional Mini Show Finalist (2007); Salon International Museum of Contemporary Masters - Third Place, Honorable Mention, and Jury Top 50 (2004, judged by Pino); National Park Services “Arts for the Parks” Competition - Mini Top 100 (2004); National “Paint Christopher Columbus” contest – Winner (1994). Their art career in America started when the Titovets's left St. Petersburg, Russia to join family in El Paso, Texas over a quarter of a century ago. They had both received their Masters of Fine Arts in St. Petersburg and had also taught painting in their homeland prior to their journey to the United States. Success has followed them and you will have an opportunity to hear of the highlights of their career as well as ask questions. 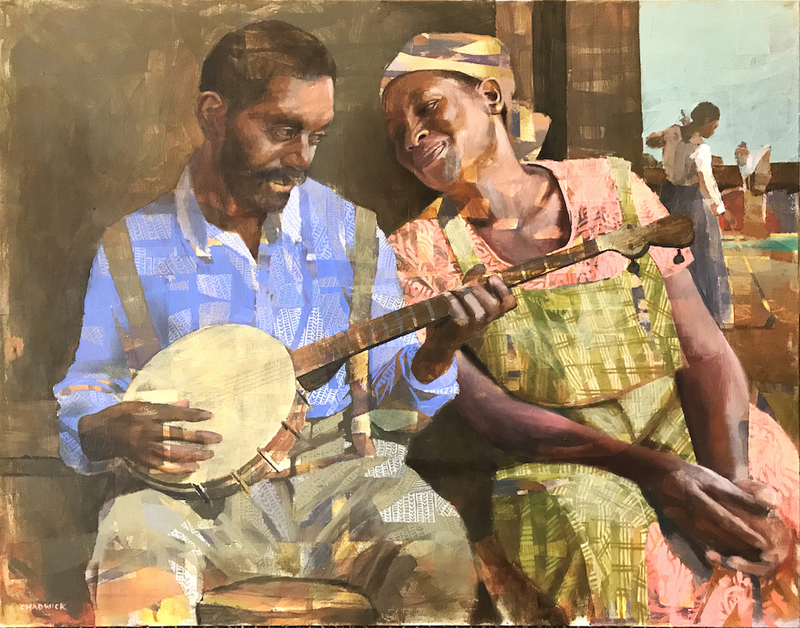 “We are excited to continue a tradition that began almost 20 years ago, when we had our first exhibition at Ella W. Richardson Fine Art, when Charleston was much more famous for antiques than art.”, say Lyuba and Aleksander Titovets about their upcoming feature show. “Throughout our lives we have been fortunate to visit many fascinating places, see lots of great masterpieces and meet countless wonderful people. Our art is a visual expression of what we have discovered and what has impressed on us. It takes a long time to find the image… some of the great experiences from the past have only now made their way onto the canvas. We are planning to bring the newest and what we think is the best work to date. The artists both received their Master of Fine Arts degrees at The St. Petersburg State University of Fine Arts in St. Petersburg, Russia. Several years after graduation the couple made a bold move to the United States. They had relatives in El Paso, Texas so that is where they moved and still reside. They have been extremely successful and what many would refer to as a couple that has achieved the American dream. 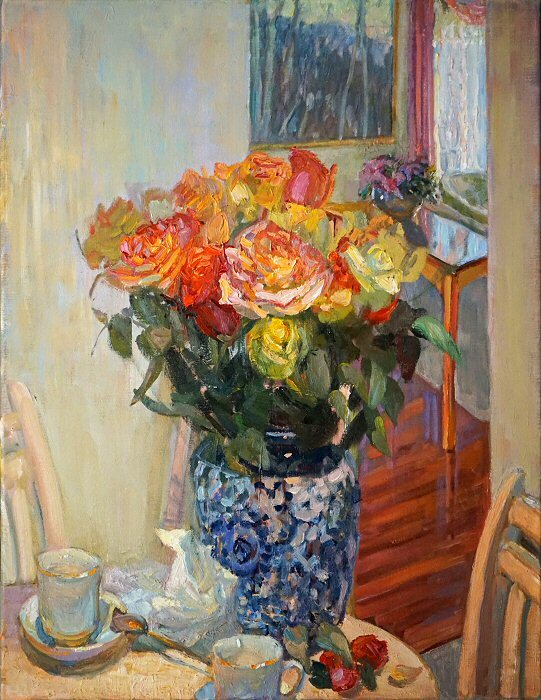 Aleksander specializes in Impressionist landscape and figurative oil paintings. His most famous painting is unquestionably the one of First Lady, Laura Bush which was unveiled in 2008. The exquisite portrait hangs in the National Portrait Gallery of the Smithsonian Institution. Lyuba Titovets is a still life artist and also creates whimsical Russian Folk scenes. 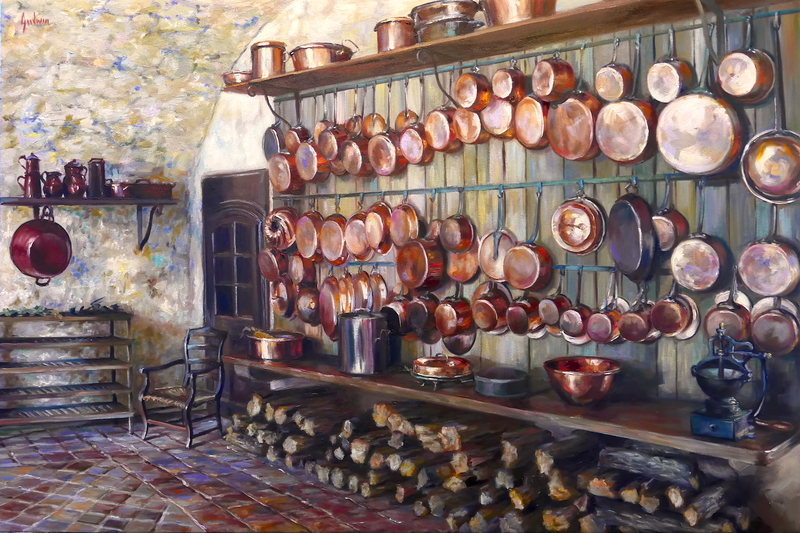 She has become one of the top painters in America of this genre. Her works exude a vibrancy and playfulness that captivate the viewer and bring them emotionally into the scene. 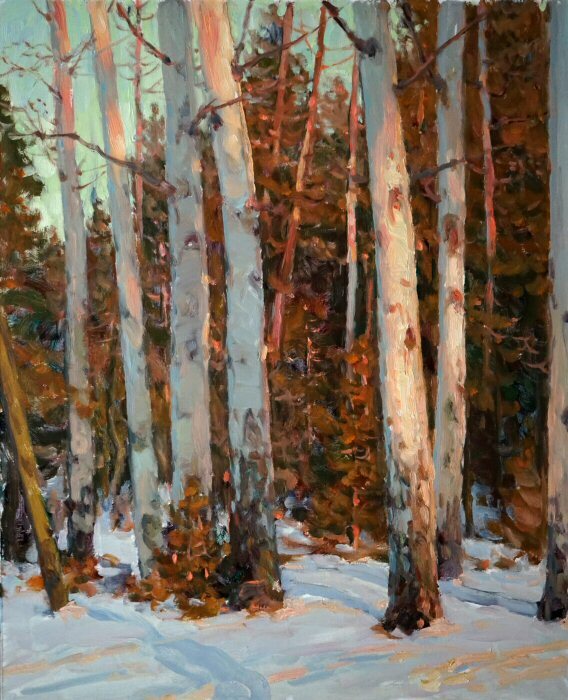 There is much detail in her scenes but her style is quite painterly. 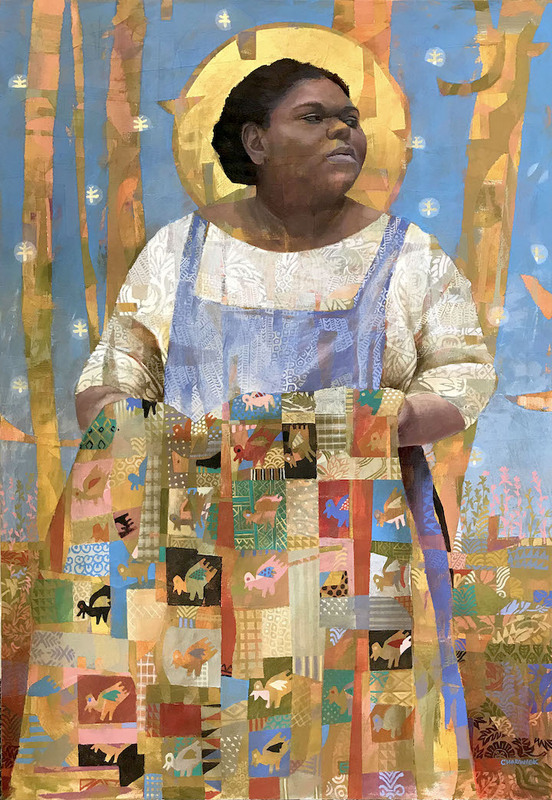 "My work seems to be ever evolving but I am still drawn to and fascinated by strong African American figures. Where my recent works have taken me, is as the role of a story teller. Whether a lone figure in my patterned background or a family scene, I now try to include a bit of history or a touch of something else hidden in the painting to hopefully make the viewer take a moment to discover what is happening in the work that may not be noticed at first glance. From perhaps at first unseen snakes to West African symbols, images are scattered throughout my paintings to better help tell the story of those captured in my paintings." 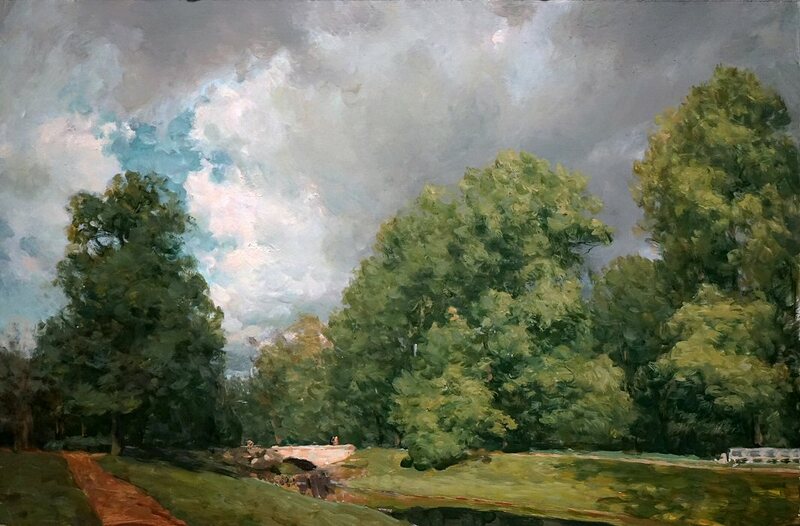 After graduating from the Art Institute of Pittsburgh in 1976, Kevin found his career immediately took off and has taken many artistic turns through the years. Landing his first job as an illustrator while still in school, Kevin worked for a national glassware company illustrating for corporations such as McDonalds, Burger King, Hallmark Cards and Twentieth Century Fox. Upon moving to Washington, DC in 1978, Kevin first freelanced as a magazine illustrator until 1984 when he decided to form his own firm Chadwick Design Incorporated. First specializing in theatrical graphics, Kevin also illustrated for national ad agencies along with National Geographic, The Washington Post, PBS, Kennedy Center, New York Times Book Review, Special Olympics and the Shakespeare Library just to name but a few. Kevin received numerous awards from Communication Arts Magazine, Art Directors Club of New York and of Washington, DC. 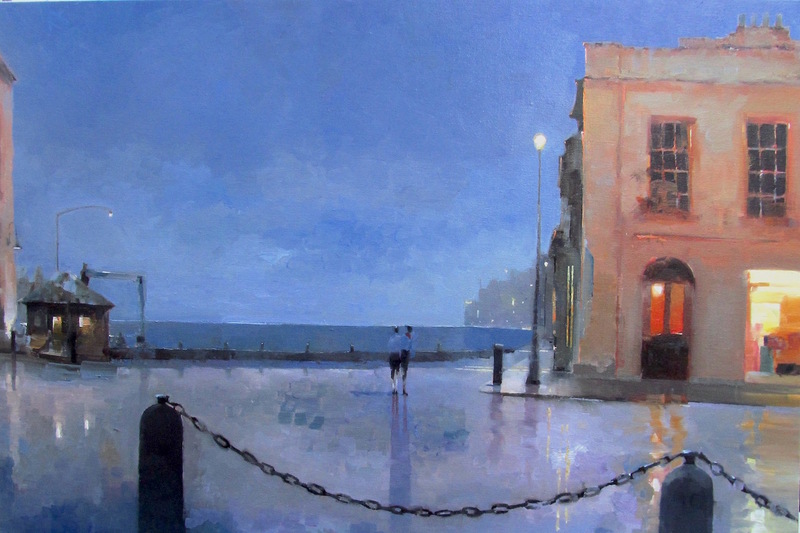 Able to illustrate in various mediums, Kevin more and more enjoyed the richness of oil paints. First using them as washes combined with pencil in illustrations and later strictly traditional oils on canvas or panel. Doyle Hotel Collection, Dublin Ireland and in private collections both here in the States and in Europe. Chadwick now specialzes in African American figures. 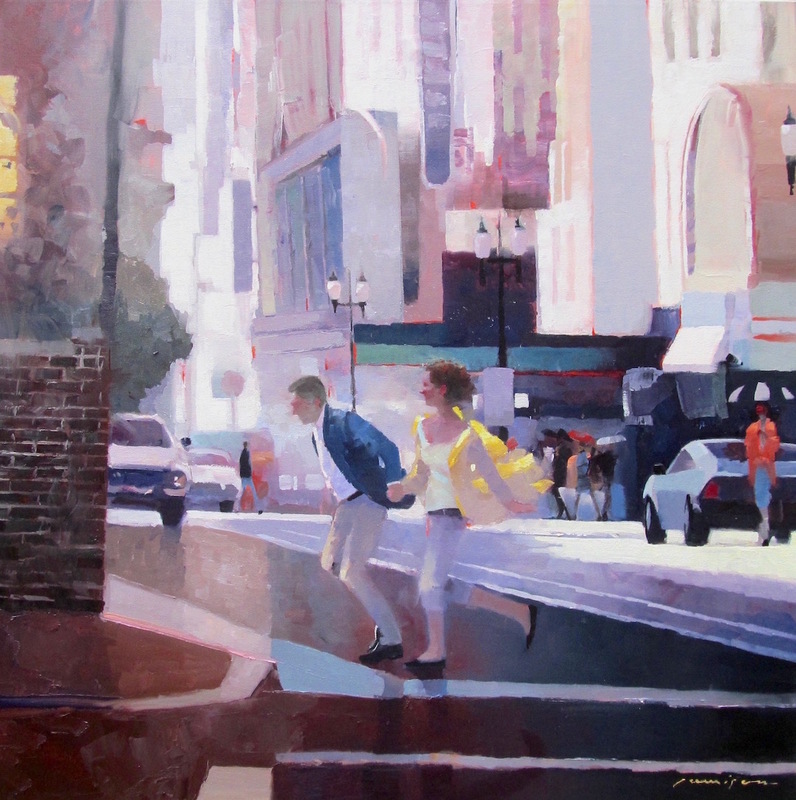 "Everyday Romance" is an exhibition of new works by Jeff Jamison. The reception opening will be help Friday, October 4th from 5 until 8pm. Please join us for refreshments and an opportunity to chat with the artist. 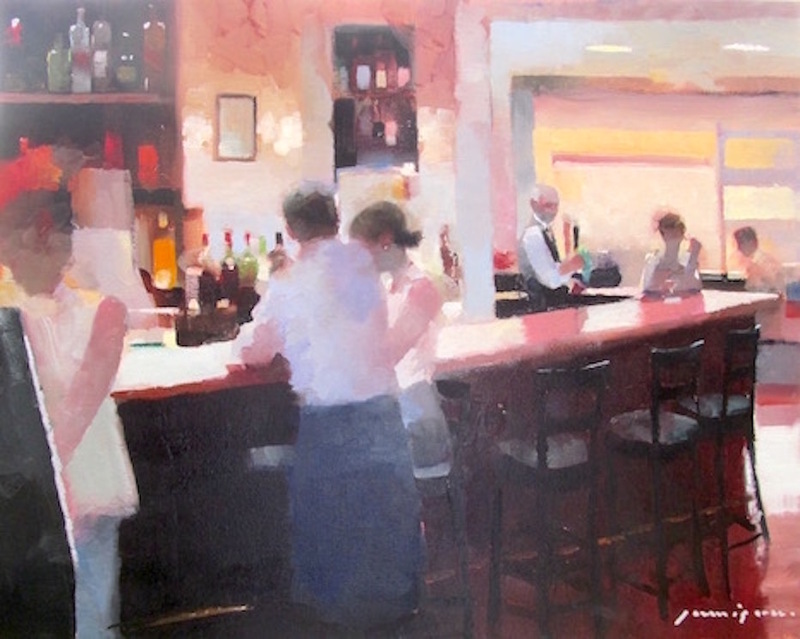 Jamison imbues a combination of nostalgia and timelessness into his paintings through use of a contemporary style. This might seem paradoxical, and perhaps it is, but it is what makes his works so enigmatic. They are beautiful and mysterious, light and carefree and above all, they invite you to participate with your imagination. The cities Jamison features might appear to be New York or Paris, but look close! Many paintings are in fact the cities of his dreams— mashups of places he has been and places he wishes to go. Because of the ambiguity of people and places, Jamison's works offer something to everyone. A passionate devotee of capturing spontaneous romanticism, Lindsay Goodwin is a treasured discovery among the next generation of fine artists. Lindsay creates gradations of tonal balance on her canvases; equilibriums evident when the viewer recognizes the artful juxtapositions of warms and cools. Her fascination for capturing the historical moment of interiors from Paris to Boston reflects our own human desire for romanticism in our lives and for bringing the elegance of historical splendor into our homes. 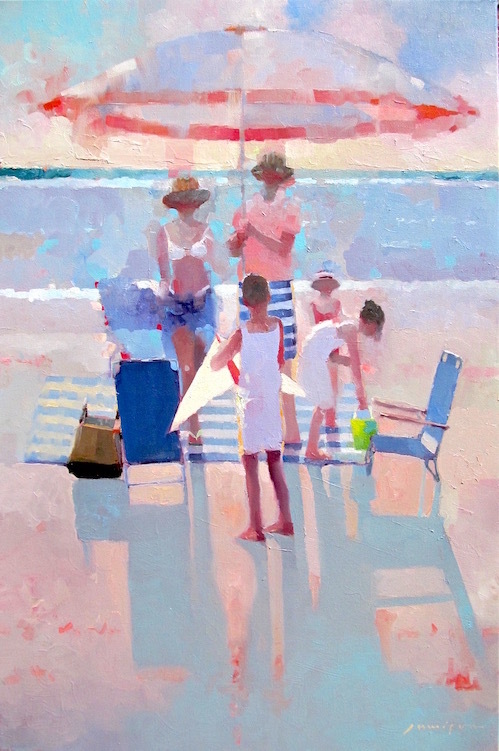 Born and raised in Topanga, California, Lindsay had her initial fine art training at O'Neill's Fine Arts in Malibu. Following instruction under Katie O’Neill, Lindsay enrolled at the Academy of Art University in San Francisco. On her road to a Bachelor of Fine Arts, Lindsay gained invaluable artistic knowledge as a student of Craig Nelson. Lindsay has incorporated Nelson’s utilization of rapid oil studies into her own methodology. She believes that by setting a time limit to her canvas, she sharpens nearly every aspect of her work, including perspective, tonality, and most importantly, atmosphere. During her final semester at the Academy of Art University, Lindsay was chosen as one of the top emerging artists among her graduating class.